We are in the midst of a customer revolution, where consumers quickly broadcast their opinions and frustrations far and wide, and expect not just a response for their efforts, but also results. For government agencies, that can be a problem, of course, but also an opportunity. Whether you work at a contact center answering customer calls about a government service or are a senior executive who understands the implications of not delivering first class service to the public, there are ways you can become a leader in improving customer experience. For years, the private sector has known that superior customer experience is what differentiates successful companies from the competition. Customer experience is a relatively new discipline in the government though, with room for many leaders to drive the transformation of citizen services across the government. You must want to make a difference in the lives of your agency’s customers. Among other things, that means making government more efficient. Services must be easy to use, available through multiple channels and provided by empathetic professionals. Customer experience doesn’t begin and end entirely with the service provided directly to the taxpayer—it’s also impacted by internal factors, such as the information technology and human resources assets agencies bring to bear on providing services. Part of your responsibility must be to ensure that others within your agency across multiple program areas understand the value of customer experience. Know who your customer is, and understand the experience they are having. Get beyond the data to understand what it’s telling you and where you need to focus your resources. Tell stories to publicize examples of good CX. Create a culture focused on customers. Develop metrics that incentivize the experience you want customers to have. Ask employees and customers for their input. Recognize good CX to drive the right behavior. You know that improvements are needed and you understand enough about CX to get started. Whether you serve the public, other federal agencies, or internal organizations within your agency or department, ask yourself how you can improve the service you provide. There are many who don’t believe customer experience should be a government priority. Research by Forrester shows that when citizens have positive interactions with agencies they are more optimistic about the future of the country. The kind of service your agency provides affects everyone in government. When the State Department requires a passport to enter Canada or Mexico but then can’t process it quickly enough for people to travel to previously arranged events, the entire government gets a black eye. Improving customer experience can also save money. A well-designed website can answer many people’s questions efficiently and reduce the need to maintain expensive call centers. You need to prove the value of CX within your organization. Within my office, I began by bringing together like-minded individuals to assess where we were with regard to customer service. 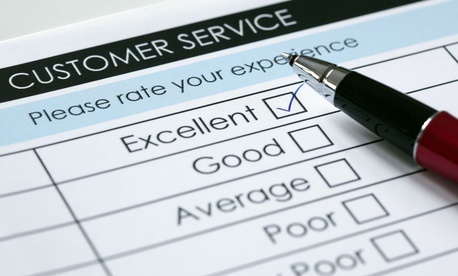 At first, we didn’t understand the difference between customer satisfaction, customer service and customer experience. We collected a list of all measures that our programs were collecting and what they were trying to measure. By organizing the metrics in categories, such as quality, responsiveness, timeliness, quantity, adoption, etc., we were able to evaluate how we were measuring each program and channel. To help guide us, we developed a white paper to describe the program we wanted to create along with our customer promise, principles and values. Eventually, we convinced leadership to allow us to create a working group to discuss the issues within the organization. Given that everyone was measuring their agency-facing programs differently and there was no consistent way for us to measure the quality of service we were delivering directly to the public, we had a lot of learning to do. If you have a program where the public can go online, get in line at a service center or call a contact center, it’s difficult to measure the overall quality of service. We decided on a three-pronged program. First, we began developing a CX Learning Series to educate everyone on the concepts of CX. Next, we proposed an index for both our agency-facing programs and our citizen-facing programs so that we could bring transparency to the quality of the service from the customers’ perspective. Lastly, we started talking up CX in staff meetings, all hands meetings and town halls. It’s always helpful to identify others across government and industry who have expertise and experience you can learn from and share. I was fortunate to have met the newly appointed Chief Experience Officer at the Federal Student Aid office who came into government to improve the experience of students. She had vast CX experience within the banking industry but she didn’t have any government experience, so we had much to learn from each other. We were also both involved in the governmentwide Task Force on Customer Service after the 2011 release of Executive Order 13571 on “Streamlining Service Delivery and Improving Customer Service.” This helped to link all customer service reps from across government so we could share our passion and learn from each other. Given the widespread need to improve CX in government, as well as the tremendous benefits of such improvements for taxpayers and government employees alike, it is critical to show that customer experience is not just the latest buzz phrase. If you have the opportunity to speak at an event or reach out to colleagues to share what you’ve learned, do it. Martha Dorris spent more than a decade working on customer experience in government. She led the Office of Citizen Services at the General Services Administration, where she was responsible for USA.gov, GobiernoUSA.gov and the National Contact Center as well as many of the Digital Government programs implementing the Digital Government Strategy.